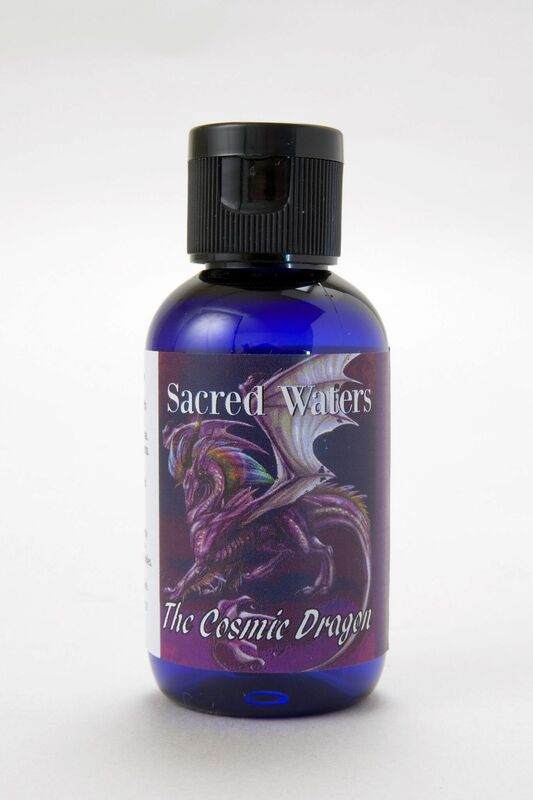 Embrace the enchanting energy of the Sacred Waters of the Cosmic Dragon who may prefer to present itself as purple energy and colour. Cosmic Dragons teach us to connect with knowledge and power greater than our own understanding, even other beings and forms that live in the Galactic Universe. They help us transform thought and desire into physical forms. A magical formula containing the aroma of Holy Basil and Jasmine. Floral Water. Holy Water. Gem Essence of Dragon’s Blood Jasper.